There were rumours spreading through the motorcycle world that the Suzuki Hayabusa was to be discontinued. This of course caused quite a stir among its legions of fans that mourned this eventuality. 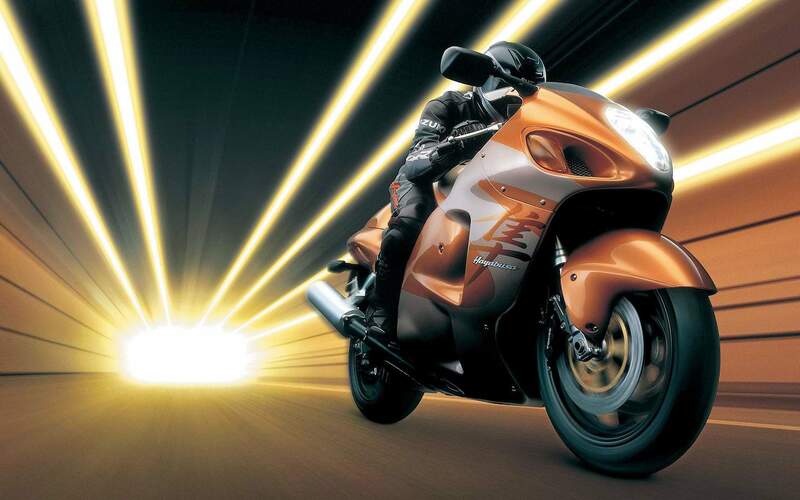 And it makes sense – the Hayabusa has had one helluva life and one helluva history. The year 1999 was an important date because, like the space race, the Japanese motorcycle manufacturers were locked in a high speed duel of, well, speed. 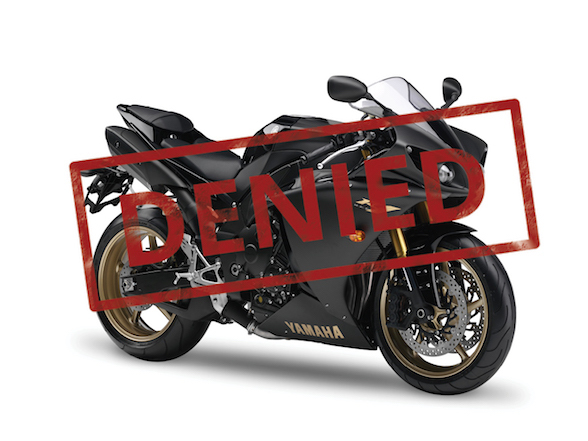 At that time, Honda and Kawasaki had their CBR1100XX Blackbird and the ZZR1100 going head-to-head for the ultimate goal of the fastest motorcycle in the world – Yamaha had churned out the first R1 that wasn’t as fast in a straight line but could go round corners and, incidentally, started the litre bike craze that we now know and love, so they are forgiven. Rumours were rife that Suzuki were going to join this race, as their GSX1100R was now a bit old hat. Thus, there was much excitement when the covers were pulled of, and immediately a large anticlimax when people actually saw what it looks like. Instead of sharp lines and “fox eyes” that were common in the world of motorcycle beauty, it had rounded bulges and a strange stacked headlight that was simply repulsive. But there was a good chunk of method behind this madness and it certainly paid off. The goal Suzuki had was to build something unbeatably fast and something that will stand out unmistakably. They took inspiration from the Japanese peregrine falcon, a bird that not only held the record as the fastest in the animal kingdom but also inadvertently preyed upon blackbirds, which is a happy accident. 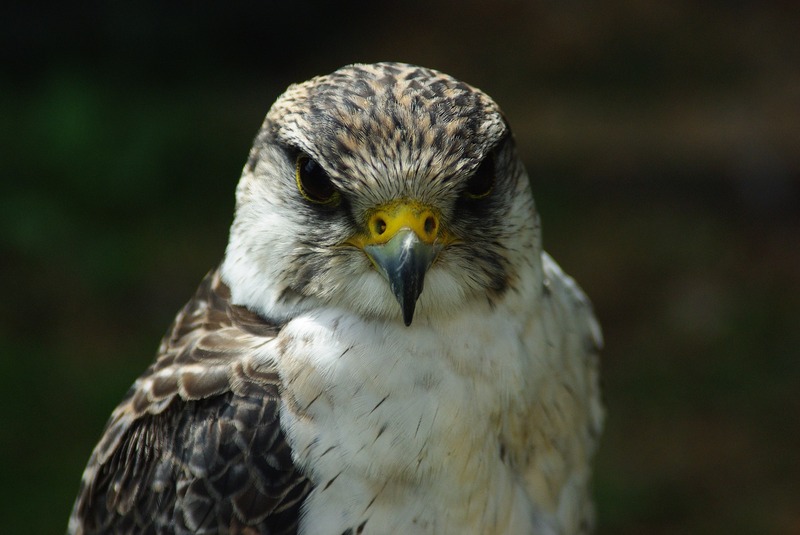 The peregrine, in Japanese, is called a hayabusa, hence the iconic name. The design served two functions – it created unrivalled aerodynamics in the world of motorcycling, meaning it could punch through the air helping it achieve its chart topping speed. Also, it made it look like nothing else in the world – a look that was, shall we say, contentious, but this worked out for Suzuki in the long run, because that look was unmistakeable. Even from a distance, you can easily recognise a Hayabusa in a crowd of motorcycles with this now signature look. 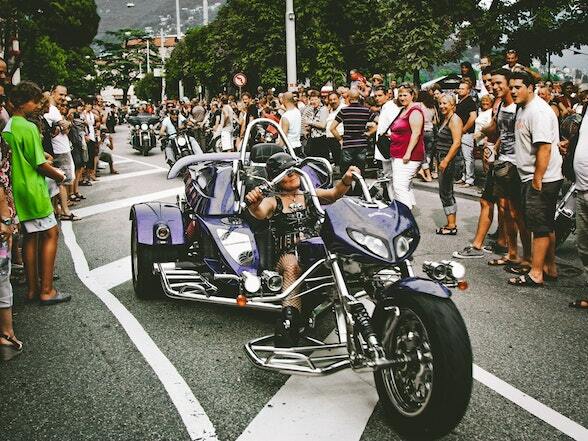 While people criticised it because of its looks, they soon changed their minds after they rode it. There was nothing else in the world that came near it, and claimed not only the fastest accelerating production motorcycle, but also took the honours for the highest top speed, appearing in the Guinness Book of Records at 312 km/h. A year later, Kawasaki launched the ZX-12R, a bike to compete against the Hayabusa, but despite some compelling innovations it fell short by 6km/h. They Hayabusa’s speed caused so much of a stir that the European Union threatened to ban imports of all high speed motorcycles, presuming that it would cause carnage on their roads – interestingly, they failed to imposed such restrictions on their cars, and we presume this is because most of the high speed cars were built in Europe, so it was simply a veiled case of xenophobia. 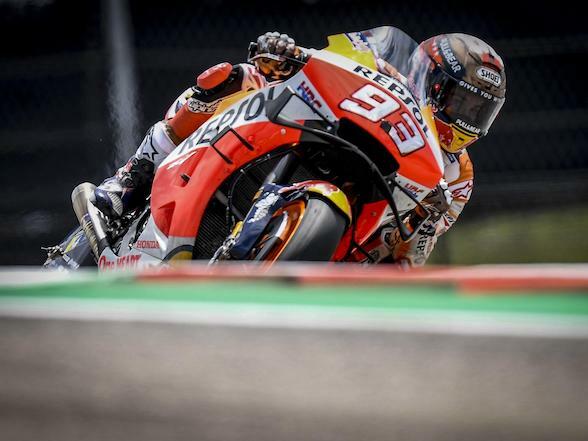 And so, the motorcycle manufacturers had a gentlemen’s agreement that all motorcycles will be limited to 300km/h from the year 2000. With this in place, the 1999 Hayabusa still holds the record of the fastest speed recorded by a standard, production, road-legal motorcycle. Sales started off slow with people still dubious about the looks, but as its reputation for speed and performance grew so did its sales, until 2008 when they released its first major model upgrade. If anything, this new bike looked even worse, but while its newfound criticism was vast, its reputation had preceded it, and now this new Hayabusa was in huge demand. And that is, more or less, exactly the bike we have today as it turns 20 years-old. The capacity increased from the original 1299cc to 1340cc with the stroke increasing by 2mm. This increased the power from 175hp to 195hp and the torque from 138 Nm to 154 Nm making it still one of the torquiest motorcycles available today. 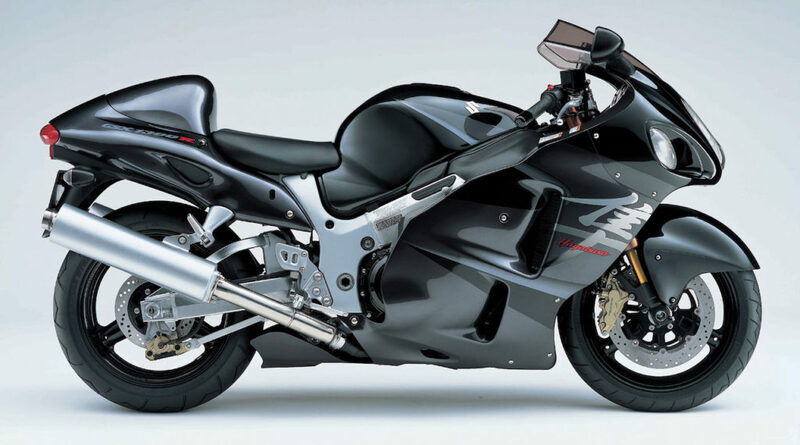 And this is what makes the Hayabusa so remarkable – it’s 20 years-old with just one major update in 2008 meaning the current bike is technically 11 years-old. And it still motors. 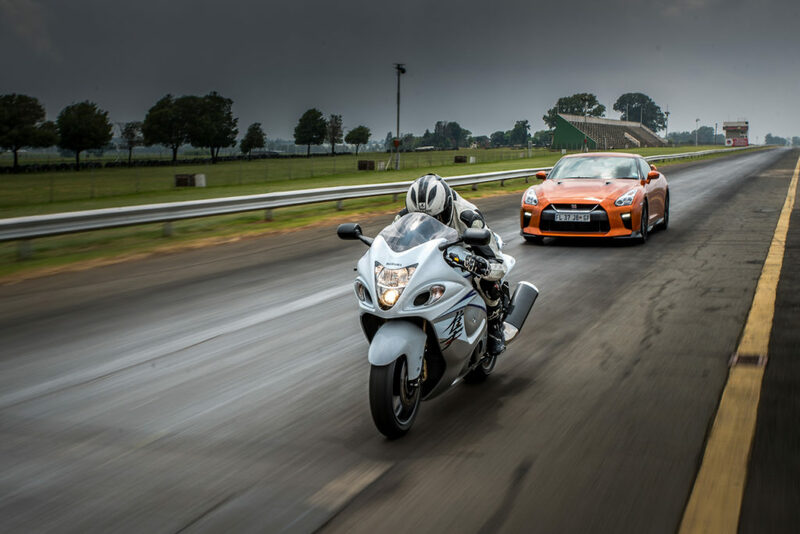 Two years ago, when Suzuki introduced the new 200hp GSXR1000, we had both the Gixxer and the Hayabusa at Tarlton Drag Strip dicing a Nissan GTR driven by a car journalist who had such faith in this new Datsun that he really thought it could take on a motorcycle. 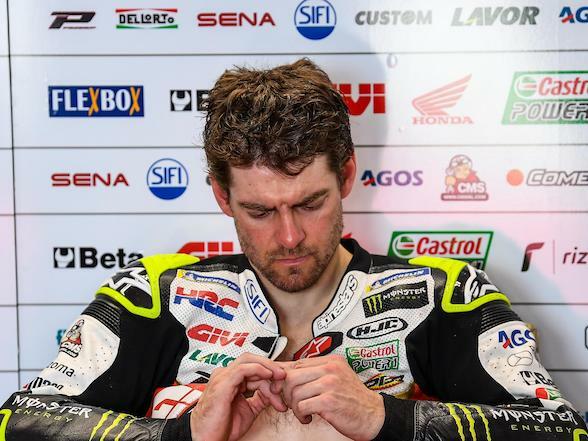 Needless to say that despite the car’s fancy launch control, traction, horsepower and the ageing Mat Durrans behind the bars of both bikes, the GTR lost the 400m race by two seconds. 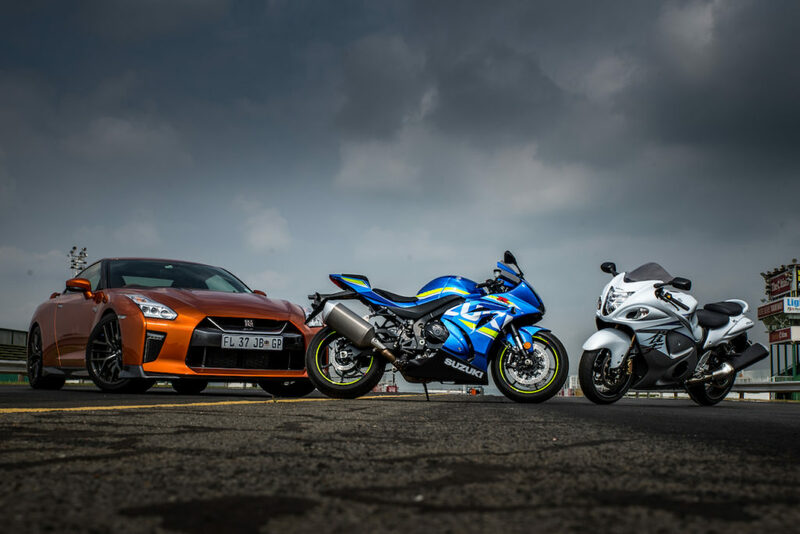 The interesting part is that the Hayabusa is down by five horsepower compared to the GSXR young gun and a massive 65 kg heavier, meaning the Gixxer should munched the ageing Busa for breakfast. And yet the two crossed the line in almost exactly the same times. After the morning Tarlton dash, we headed across to Red Star Raceway for some afternoon laps on the GSXR, a distance of 146 km. 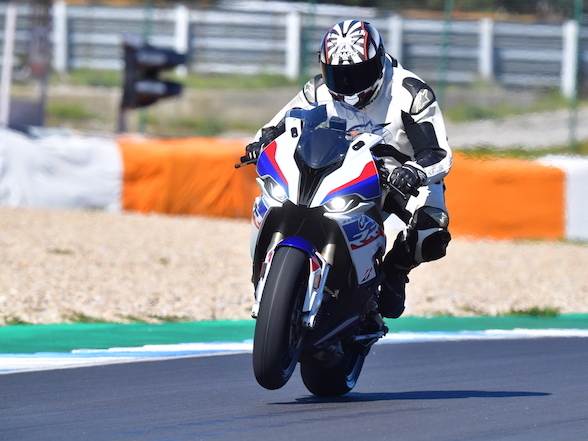 The GSXR is probably the most comfortable of all the litre superbikes, which is a bit like saying that it is the most comfortable torture device in King Henry VIII’s dungeon. The rider of the Hayabusa, on the other, was right as daisies when we arrived. 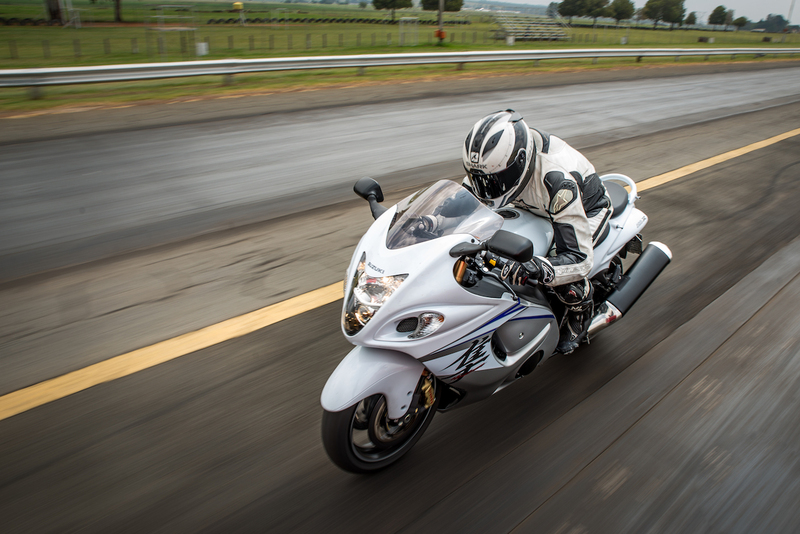 What makes the Hayabusa even more elegant on the road is the way it delivers its power – massive amounts of torque. While the young GSXR will give the Hayabusa a run at full chaps, at low to mid-rev riding, the Hayabusa has it whacked. 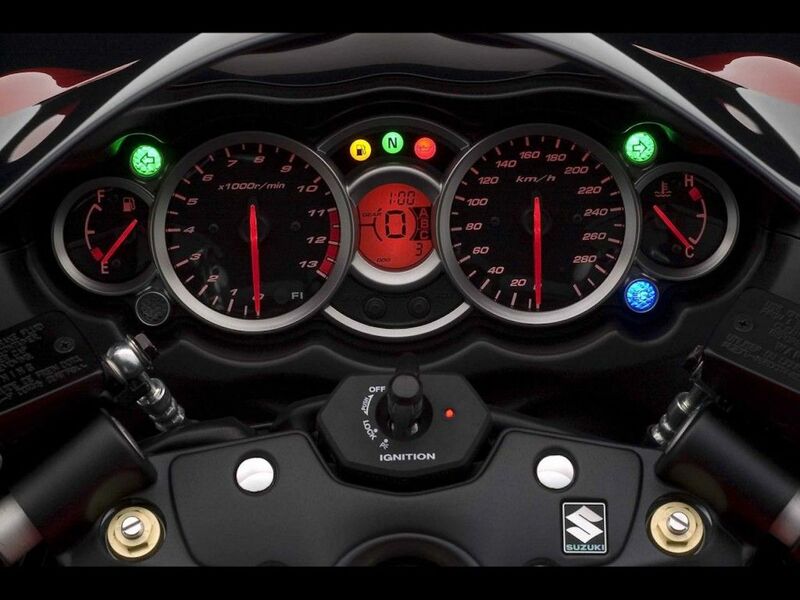 There was a theory that we developed that Suzuki could get away without putting a full gearbox in the Hayabusa. They could fit just third gear. The pull away is a little bit more laboured, but not much more than a modern 600. Then it pulls like stink right up until the redline at which stage you’re doing 230km/h. From 0 to 230 km/h in one gear. That’s really not bad. The Hayabusa is a big and heavy girl, but it isn’t a handful. The torque of the motor makes it extremely easy to use when not at full tilt, and it has a seat height of just 805 mm which in scientific terms is buggerall. This means that despite the weight and perceived size, it is a doddle to handle at slow speeds. There is not much in the way of electronics except for the obligatory ABS – even the clocks are literally old-style clocks – but this doesn’t matter. On a bike like this, people spend time playing with the electronics for a little while before they leave it on full power with the traction control set on anything because it makes little difference on public roads. And then you have what is still a truly great motorcycle. It is still ridiculously fast – as a journalist friend of mine remarked recently: “you can still get into a helluva lot of trouble on a Hayabusa” – it is still a motorcycle that anyone can ride happily and it still has that striking presence it’s always had. 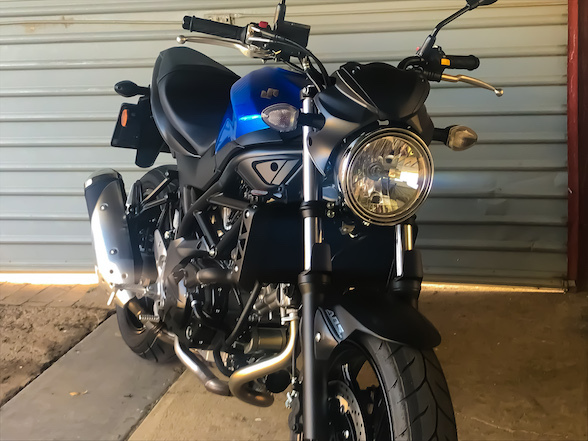 For that exact reason this 11 year-old motorcycle is still one of the best-selling large motorcycles in Suzuki’s line up. …in Europe. Luckily, the rest of the world is significantly less communistic than Europe, so the Hayabusa will remain. 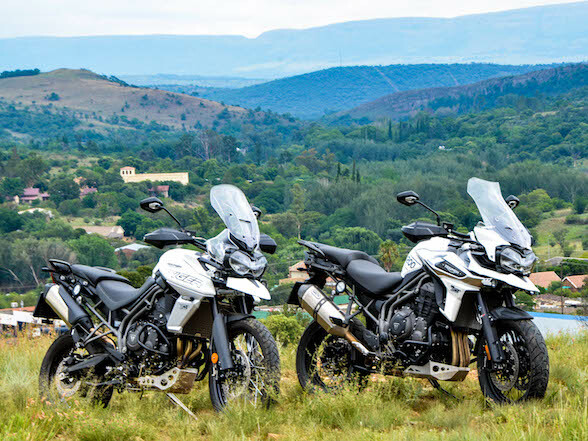 In South Africa, the news is even better, because not only is it going to remain on sale with Suzuki South Africa holding ample stock, but it is on showroom floors for a ridiculously good price of R205,000. 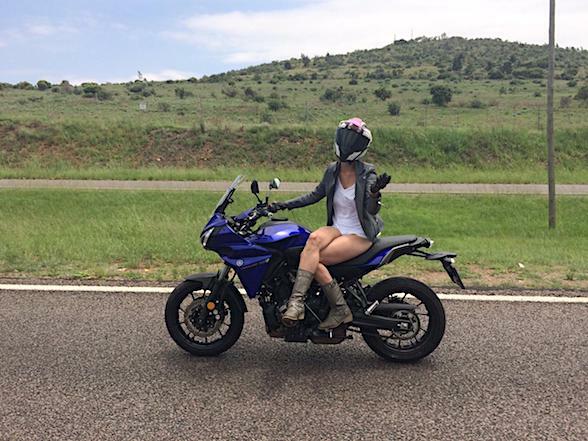 That’s R25,000 cheaper than a GSXR1000, a bike that is already one of the better priced superbikes on the market. And so, for a list of every reason imaginable, we are incredibly pleased that the Suzuki Hayabusa lives on. Thank you non-Europe for not killing it. May your reign last forever.